This picture was taken by my friend Mark Stonich. The color is a stock Imron color. 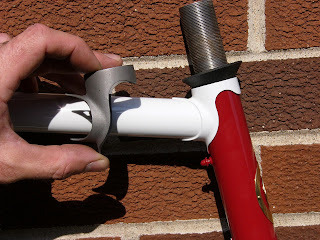 The seat lug is a Pacenti artisan lug that I carved up. I like how it turned out. The seat stay caps are a semi-wrap style that I typically do. 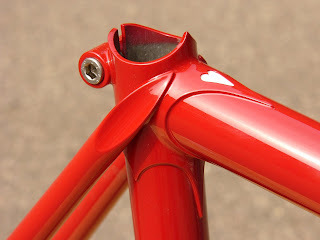 This picture shows a Richard Sachs top lug in my hand and the same lug on the frame with the head tube extension removed. Kind of trick.